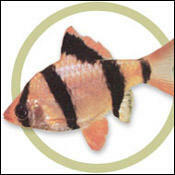 The Tiger Barb is silver/gold with black stripes and orange accented fins. It is a very lively, playful fish that prefers to be in schools. 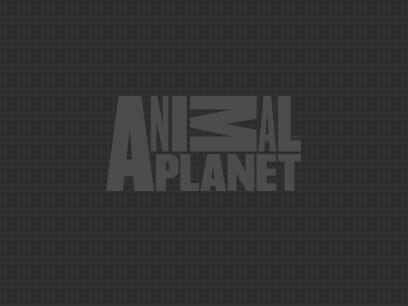 It prefers a well-planted tank of at least 30 gallons with soft, slightly acidic water. Rocks and driftwood can be added to the aquarium, but leave plenty of space for swimming. The Tiger Barb is a very active fish that may pester or even nip the fins of larger, slower moving fish. It is best, when trying to breed the Tiger Barb, to house a number of Barbs in the same aquarium until they pair off. After a pair has developed, the female will lay the eggs and the male will follow behind to fertilize. The fry will be free-swimming after about 5 days. Feed the fry newly hatched brine shrimp until large enough to accept crushed flake food. The Tiger Barb needs to be fed a variety of foods including vegetables as well as meaty foods. Feed a quality flake food as well as live and frozen foods such as brine shrimp and bloodworms. Ideal tank mates include: Barbs, Gouramis, Mollies, Swordtails, South American Dwarf Cichlids (such as Rams and Apistogrammas), Catfish, Loaches, Rainbowfish and Plecos.